The UAF station is located at the Survey coordinating office in Fayetteville, with additional office space in the Anthropology Department on the UAF campus. 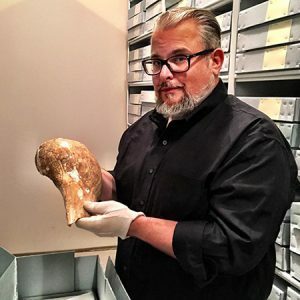 The station archeologist teaches in the Department of Anthropology at UAF and performs other faculty service to the Department and campus. The UAF station territory covers 12 counties and lies almost entirely within the Ozark Mountain region of northwest Arkansas; only the extreme southwestern portion dips down into the Arkansas River Valley. 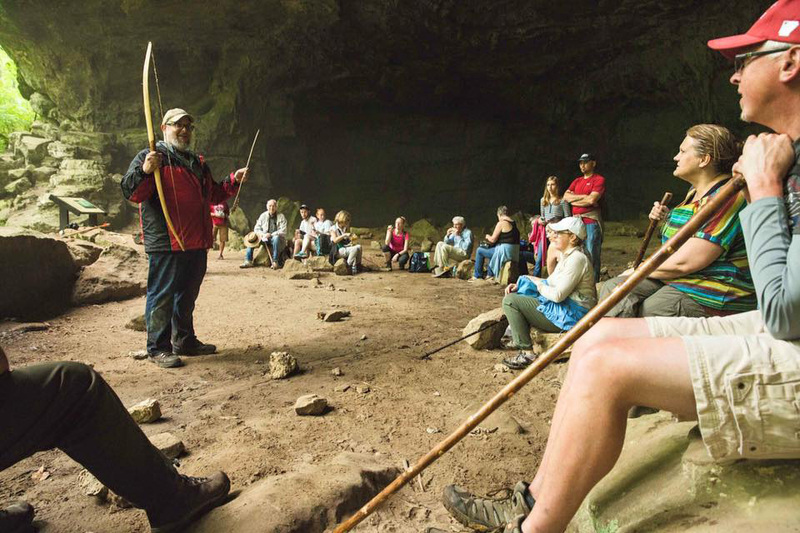 The archeology of the Ozarks is justly known for the excellent preservation of organic material such as basketry, textiles, woven sandals, and plant food remains in dry rock shelters. Large collections of such remains, excavated in the past from sites now inundated by reservoirs, are housed in the UA Collection Facility awaiting modern analysis. Rock art, both painted and carved, is also found in some shelters. 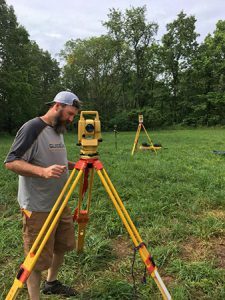 Station research in the last 30 years has broadened the archeological picture by focusing on ceremonial mound sites that link the Ozarks to the Mississippian and Caddo cultures. Other projects have emphasized historical sites left by pioneer Arkansans, Civil War related sites, and environmental history. The station’s latest initiatives are a comprehensive study of prehistoric rock art, analysis of museum curated archeological collections from the Ozarks and central Arkansas River valley, and new studies exploring how artistic expression on decorated artifacts, such as the world-class ceramic collections from Carden Bottoms in central Arkansas, reflect social boundaries and social interaction. Dr. Jamie C. Brandon, the Survey’s UAF Research Station Archeologist, passed away during the 2018 winter break after a brief but courageous battle with cancer. Jared Pebworth is a member of the Choctaw Nation of Oklahoma and has been with the Arkansas Archeological Survey since 1991. 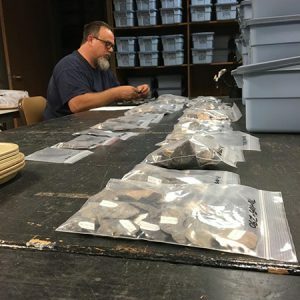 For almost 30 years, as an integral part of the Survey’s Sponsored Research Program, Pebworth has done archeology in virtually every corner of the state and in parts of Louisiana, Mississippi and Oklahoma. Pebworth is well versed in field and laboratory logistics, historic and prehistoric material culture, metal artifact conservation, the reproduction of traditional technologies. Jared moved from SRP to become ARAS-UAF Research Station Assistant in January, 2018. Michael Evans has been with the Arkansas Archeological Survey since 1991. Aside from his almost 30 years of experience in excavations in Arkansas and neighboring states, Evans has developed specialized skills which include advanced mapping technologies, GIS, AutoCAD and Surfer map production, data editing and management. Mike is also interested in historic and prehistoric culture material and the reproduction of traditional technologies. Evans moved from SRP to become ARAS-UAF Research Station Assistant in January, 2018.